Located on a quiet street find this family home w/ a triple attached garage & offering direct views and access to the Elbow River. Walking in the front you are greeted w/ hardwood floors throughout the main floor. The gourmet kitchen is designed for entertaining & offers a Thermador gas stove, brilliant granite counters, stainless Steele appliances, bright nook area with French doors that lead to the spacious rear patio featuring an exterior fireplace. The living/family room offers warm stone facing gas fireplace & loads of windows. Completing the main floor find a spacious den and convenient formal dining. Upstairs the Master bedroom is complete with rock face fireplace, balcony overlooking the river & a spa inspired ensuite with luxurious soaker tub. 2 additional bedrooms and a 5pce Jack & Jill main bath complete the upper floor. Lower level offers a large rec room/games room, formal theater room and two additional bedrooms awaiting your finishing touch. Picturesque rear yard backs onto a nature reserve & offers great views of the Elbow River & a paved patio area. Home for sale at 151 Clearwater Ru Rural Rocky View County, Alberts T3Z 3T9. 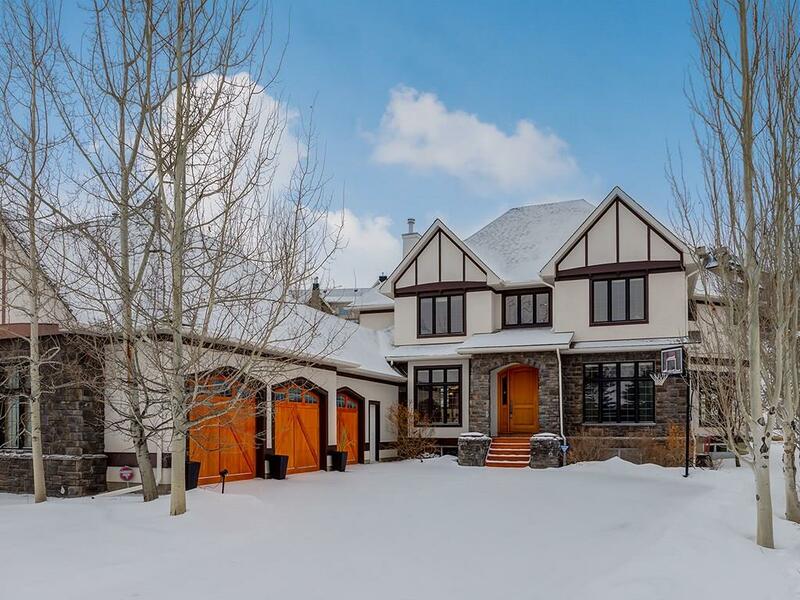 Description: The home at 151 Clearwater Ru Rural Rocky View County, Alberta T3Z 3T9 with the MLS® Number C4222642 is currently listed at $1,099,800.